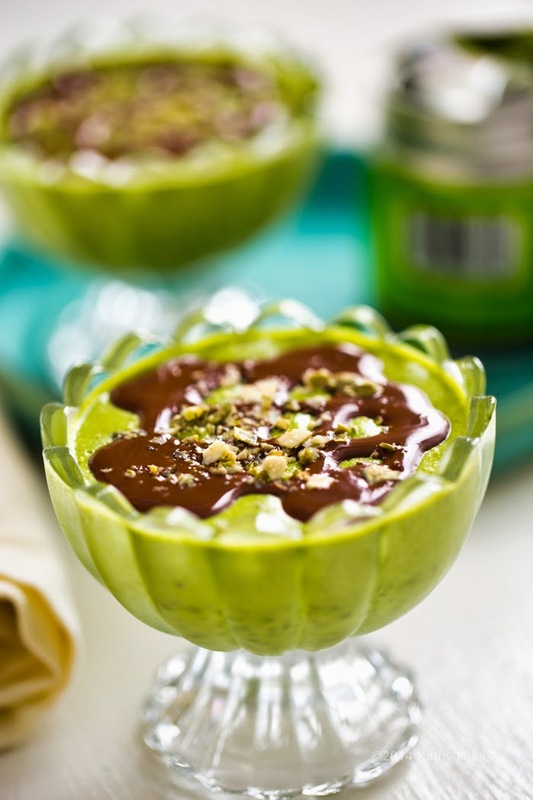 My dairy-free, vegan Mint-Matcha Chia Pudding with Dark Chocolate Drizzle is a sweet spring treat that you can prep in a flash and be enjoying in a few hours or the next day. For this spring-approved dessert or sweet snack, healthy chia seeds combine with coconut oil, dark chocolate and a cool breeze of peppermint. 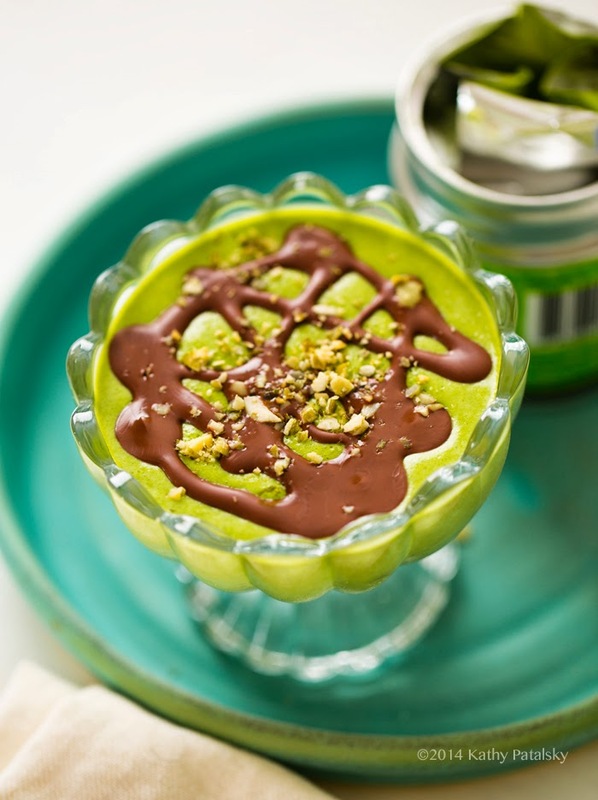 Plus there is a nice boost of green tea goodness in each spoonful..
Matcha Madness. 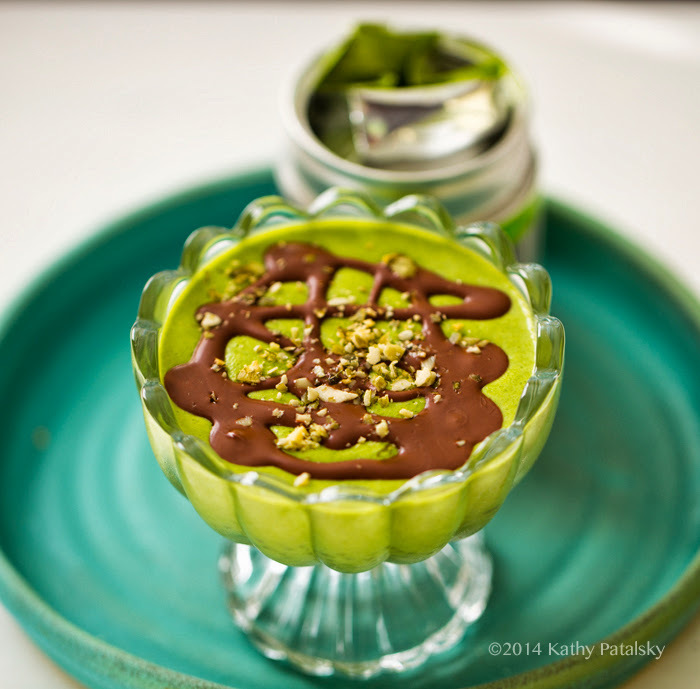 I know I have been featuring A LOT of matcha green tea recipes lately. But there is a reason! In the next week (hopefully) I will be posting a guide to matcha brands since readers are always asking me which brand(s) I love and how to find a matcha brand in stores. What to look for, etc. So look for that post soon! I just ordered (WAY!!) too much matcha from Amazon and will be reviewing a few new brands for my post. And there may be a giveaway involved too! 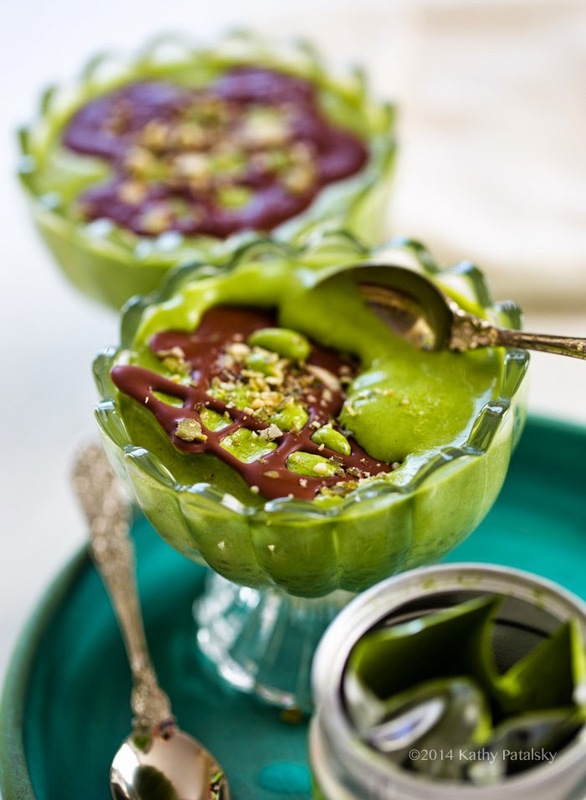 Minty Chia Pudding! 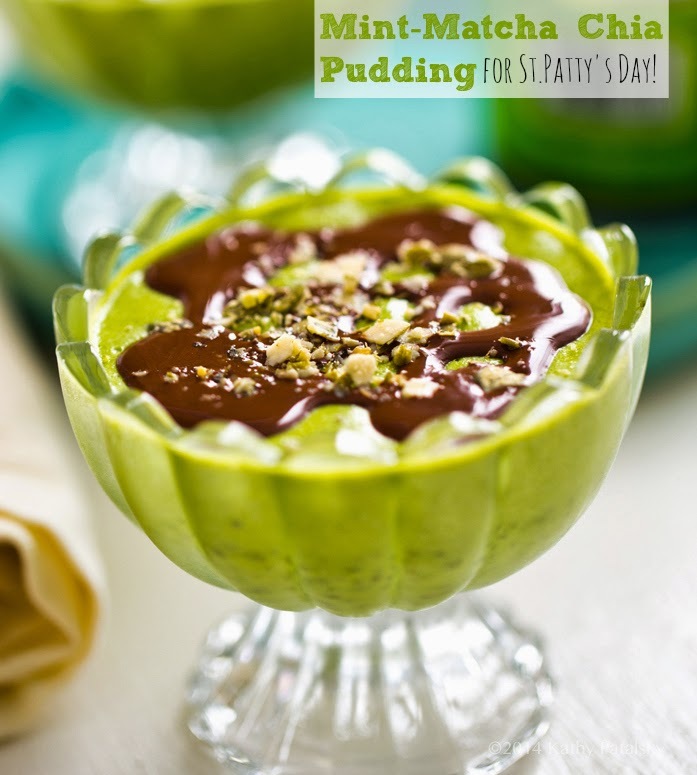 This healthy dessert recipe has St.Patrick's Day written all over it! In shades of spring green. And deep mint chocolate too. 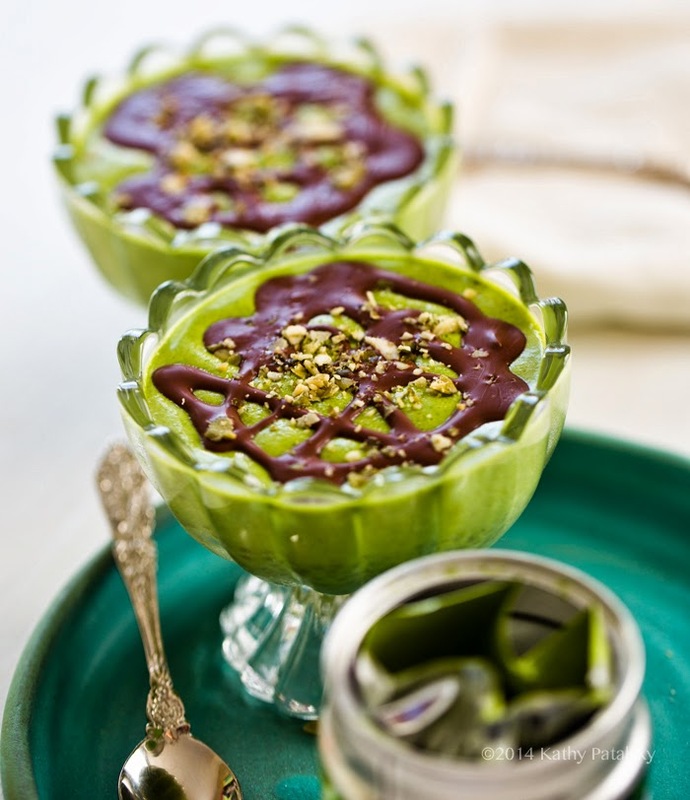 These simple and cheerful dessert cups are easy to make and rich in healthy fats, protein and charm. Share the yum and a little luck by making these cups for you and a friend! You can easily adjust the thickness of your chia seed pudding by adding more or less little seeds - or adjust the chilling time. The longer they soak/chill, the plumper they will get! I look at this photo at least once a day because it ALWAYS makes me giggle. Oh Mr.White cat..
And this news about FindingVegan.com just makes me giddy..
And this weekend I head out to my first Pure Barre fitness class with a friend! All part of my "more-exercise-this-spring" resolution. Any Barre fans out there? I'll let you know how it goes! Make it RAW! You can make this a raw dessert by using raw homemade almond milk, raw agave syrup as the sweetener and making a chocolate drizzle out of coconut oil and cacao powder. The peppermint flavor? You can easily use fresh mint leaves too! Simply blend a few sprigs into the matcha almond milk before adding the chia. 1. 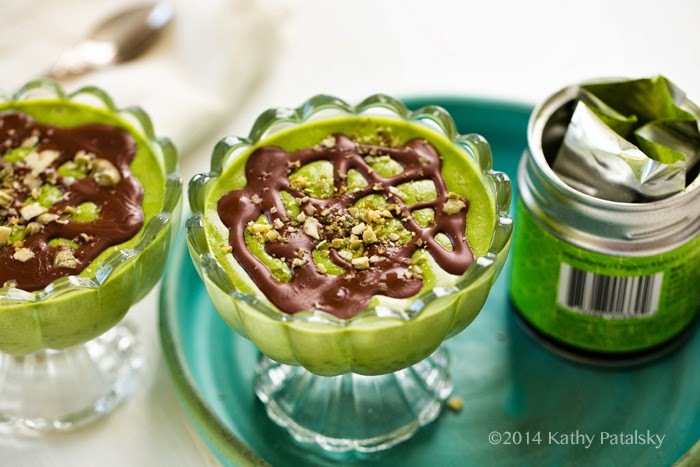 Add the non-dairy milk and matcha to a blender, blend until the matcha has dissolved. Tip: Use a softer to sift out any clumps in the matcha. 2. With the blender on its lowest setting, pour in the melted coconut oil, chia seeds, sweetener, peppermint and pinch of salt. Allow the mixture to blend for a minute. 3. Pour chia mixture into two serving glasses or one large container. Place in the fridge and stir the mixture ever 15 minutes for the first hour to disperse the chia seeds. 4. Chill for at least four hours. Overnight is best. The longer you chill, the thicker the pudding will get. I find my ideal time is overnight - at least 8 hours for silkiest and plumpest chia seeds. Note: I will admit that I did not let the photographed pudding soak long enough (for my tastes) I did only about 4 hours. So the seeds were plump but not as plump as they could possibly be. 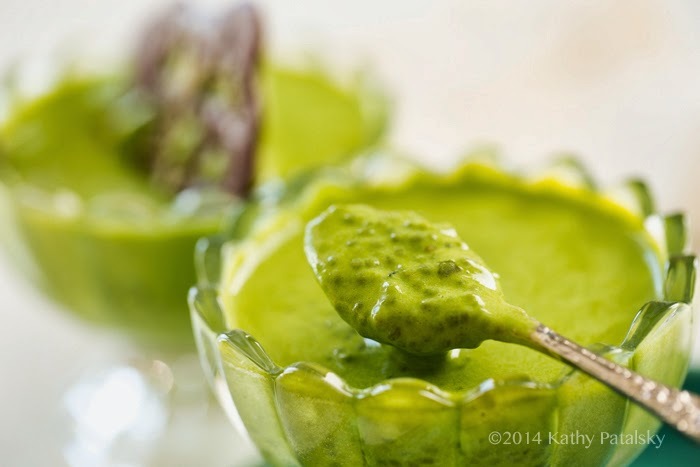 As you become a chia seed pudding expert, you will discover your sweet spot for soaking time! 5. When ready to serve, you will prep your chocolate drizzle by melting it with the coconut oil. Drizzle the melted chocolate over top the chilled pudding, the chocolate should firm up a tiny bit upon hitting the chilled surface. For fully hardened chocolate, place pudding cups back in the fridge for a few minutes. 6. Crush seeds or nuts and crumble over top. Serve!